FOOD COURT EATS near Town Hall. How does Pho Thanh Y stack up? GET YOUR RAMEN ON. NO RAMEN, NO LIFE. This is where I went for my first date with my partner. Love. Zenya Noodle Bar in Eastwood is a nice little joint for Japanese food. Waterview Cafe is located in Olympic Park, right next to the bike hire. THAT BANOFEE OOOHHH YEAH. My friend wants Italian so we head to Fratelli Parlamento on Macquarie St in the CBD for a feast. My friend is craving pasta and pizza. WHERE HAS TAKERU GONE? My beloved Takeru Japanese restaurant seems to have changed hands/management and is now called Niigata. I am relieved to see that my favourite dishes are still on the menu. WHO CAN RESIST HAND MADE NOODLES? SO ADDICTIVE. I am loving the new Hawker Centre in Chatswood which has a number of eateries including the Noodle Warriors and Lamb Cumin. PRICEY FOR WHAT IT IS! Ihad a work dinner at Criniti's in Woolloomooloo on a hot evening. FOODGASMIC DESSERT BABY! My friend wants to check out Jamie's as she was craving a really satisfying pasta dish. 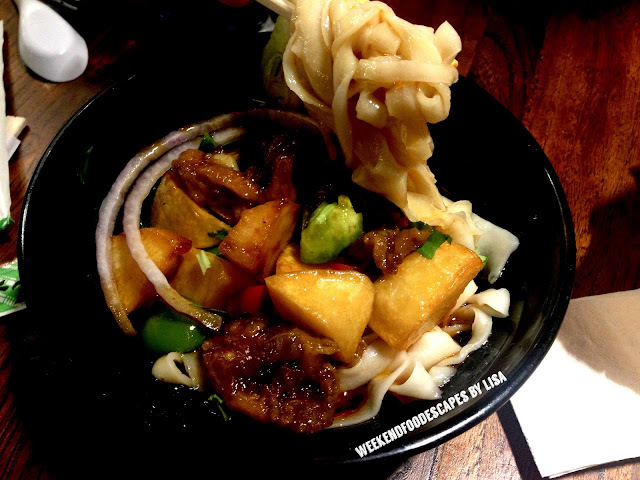 FOOD COURT EATS: Poporo Takeru is an Asian fusion restaurant comprising of mostly Japanese and Italian food. WHAT A TURKISH DELIGHT!!!! Hakiki Turkish Ice Cream and Baklava has made a bit of a name for themselves in Enmore. Home Cooking: Dee's Homemade Big Macs! We all secretly love Big Macs! Check out Dee's Home Made Big Macs recipe including that Big Mac Sauce (oohh yeah). The Sackville Hotel is a local favourite especially for their craft beers, beer garden and the regulars tell me it's a great place for Friday night drinks. 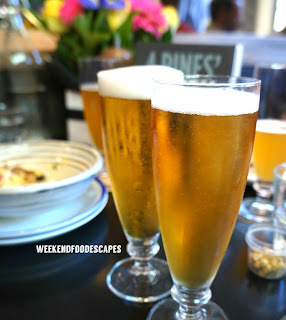 I pop by to try the 4 Pines beer along with their food. FOOD COURT EATS. Katsubi is a food court eatery in Pitt St Mall. It's got some hard competition nearby so I wonder how Katsubi will go in time. 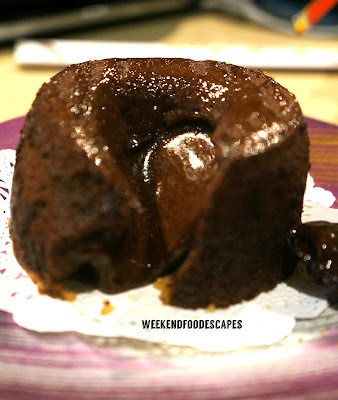 When I went to the Sushi Train in Newtown, I was a bit naughty and had the chocolate fondant. KNOWN FOR DELICIOUS, WARM, HOT BROTH NOODLE SOUP DISHES i.e LAKSA Baby. HAR MEE! On a cooler, rainy day, I decide to head to Jimmy's Recipe in the Galleries for lunch with a friend. Vegans rejoice! Soul Burger has the best range of Vegan burgers I've ever seen. 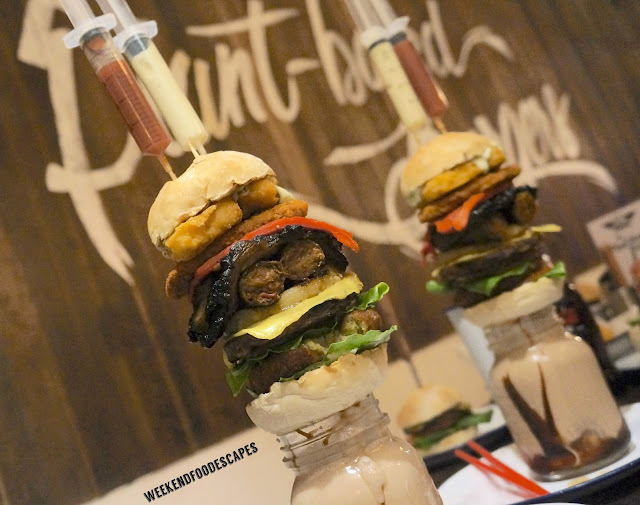 Also for the month of April - you can order the amazing monster burger "The plant based disgrace". This baby will set you back $35 if you can handle it! 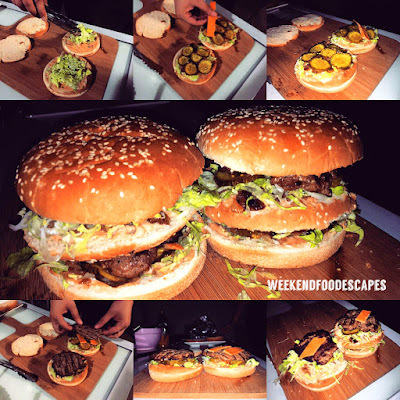 Sydney is going CRAZY for the monster burgers at Inferno Grill and Cafe. They also do a mean thick shake. 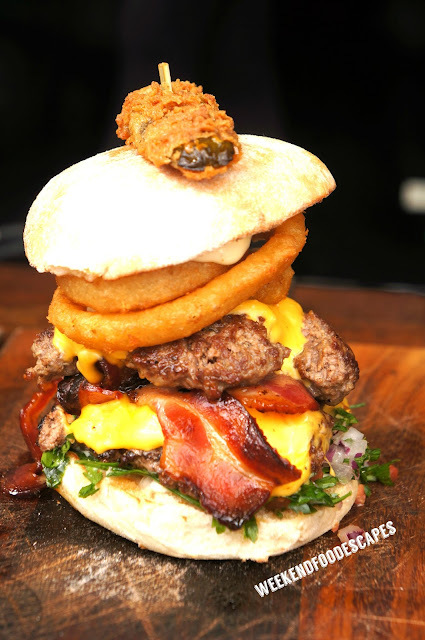 You'll need one to cut through this bad boy burger called "the Fatties Burger". 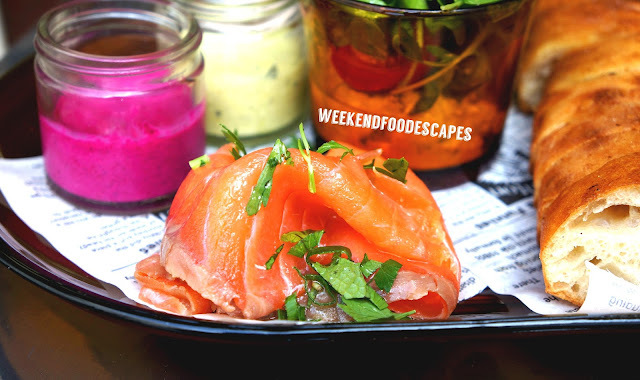 WHO loves a bit of smoked salmon for brunch? Zebra Green Cafe is the kid new on the block in Bondi Junction and is a nice escape from the chaotic and busy area. THEY HAVE ALMOND MILK FOR YOU PICKY COFFEE LOVERS. Urban Paddock is a great cafe inside the PWC Towers filled with office workers. THAT SNOW KOREAN FRIED CHICKEN!! Smokkim Korean BBQ is located in Rhodes. I stopped by for dinner.